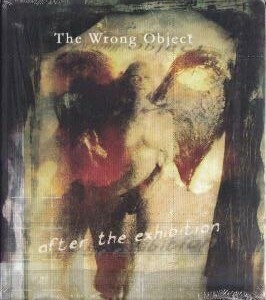 After the release of Machine Mass Trio’s As Real As Thinking and douBt’s Mercy, Pity, Peace and Love in the past couple of years, guitarist extraordinaire Michel Delville returns with his main band, all-Belgian combo The Wrong Object. Only Delville and drummer Laurent Delchambre remain from the lineup that released Stories from the Shed in 2008: the band has now become a sextet with the addition of four new members, including brilliant keyboardist Antoine Guenet, the leader of avant-metal-jazz outfit Sh.tg.n. (whose self-titled debut was released in 2012), who recently joined RIO/Avant icons Univers Zéro. One of the most prolific artists signed to Moonjune Records, the label founded by Leonardo Pavkovic in 2001, Delville is an extremely talented guitarist and composer, with a genuinely progressive attitude and a strong commitment to creative music-making. Though The Wrong Object have been in existence for over 10 years, and enjoyed a thriving concert activity all over Europe (witnessed by two live albums, The Unbelievable Truth (recorded in 2005 with the late, great Elton Dean) and Platform One (recorded in 2007 with renowned British jazz musicians Annie Whitehead and Harry Beckett), their studio debut came relatively late with Stories From the Shed – an excellent album drawing on a wide range of sources of inspiration. However, the 5-year break has brought further refinement to the band’s sound, resulting in a quantum leap in terms of quality. Although Delville is the undisputed band leader and main composer, it would be wrong to assume that The Wrong Object’s sound is dominated by guitar antics. In fact – very much in the way of his Moonjune label mate Dennis Rea of Moraine – Delville’s presence is surprisingly discreet, often leaving the limelight to the band’s duo of saxophonists, Marti Melia and François Lourtie. Guenet’s keyboards flesh out the tune according to need, adding occasional melodic flourishes or energetic organ runs, while Laurent Delchambre’s versatile drumming and Pierre Mottet’s understated yet nimble bass lines provide a reliable foundation that keeps up effortlessly with the shifts in tempo and mood. Delville’s guitar anchors the album to the rock aesthetics, ramping up the electricity quotient even when keeping almost unobtrusively in the background. Renowned mallet percussionist Benoit Moerlen (of Gong/Gongzilla fame) guests on more than half of the tracks, adding the tinkling, cascading sound of his marimba and electronic vibraphone to the sonic texture. Spread over nearly 60 minutes, the 11 tracks on After the Exhibition flow naturally in spite of their density. For all its eclecticism, the music is surprisingly cohesive and never comes across as contrived or overdone. Electric flare-ups coexist with intimate, subdued moments in an unpredictable and constantly exciting mix; at the same time, though, is also a more disciplined feel than in Delville’s two previous releases with douBt and Machine Mass Trio. Opening with the shock tactics of the brisk, exhilarating “Detox Gruel”, propelled by raucous sax with dashes of organ and Delville’s slightly strident guitar, the album’s first half culminates with the unorthodox three-part “suite” of “Jungle Cow”. In over 16 minutes of music, the composition morphs from a collection of sparse, spacey sound effects into an intense sax-and-guitar duel. The 8-minute “Yantra” juxtaposes atmospheric lyricism and heady, almost free-form improvisation with blaring saxes and unleashed guitar, while the jaunty “Spanish Fly” is reminiscent of modern classical composers such as Bartok or Stravinsky, as well as jazz and Middle Eastern music.. The album’s second half is introduced by the jaw-droppingly beautiful “Glass Cubes” interpreted by the elegantly expressive voice of Belgian singer/songwriter Susan Clynes (compared by some to modern jazz icon Annette Peacock), complemented by Guenet’s gorgeous piano and backing vocals – a stylish, magical slice of 21st-century Canterbury sound that hints at the best moments of Hatfield and the North and Soft Machine. The final three numbers feel like an ideal continuation of the mood set by “Glass Cubes”, with definite Canterbury undertones in the sprightly, catchy “Wrong but Not False” and the invigorating, funk-tinged “Flashlight Into Black Hole”, where Pierre Mottet’s bass comes into its own. Wrapping up the album in style, the romantic, Old-World flavour and elegant waltz-like pace of “Stammtisch”, conducted like a conversation between guitar, piano and sax, is briefly interrupted by the instruments interacting chaotically, then calm returns for a slo-mo finale. With its perfectly balanced running time, After the Exhibition is a true rollercoaster ride of dazzling musicianship coupled with sophisticated flair for melody that tempers and softens the bristling intensity of the album’s more electrifying parts. Even if the avant-garde component is not as strongly spotlighted as in their previous effort, RIO/Avant fans will find a lot to appreciate in the album, as will lovers of the Canterbury scene, classic jazz-rock, and even psychedelic/space rock. On the other hand, the sheer beauty of “Glass Cubes” might win over those who are more attached to prog’s traditional extended-song format. Highly recommended to everyone, After the Exhibition is an exercise in pure class, and will certainly grace many a “best of 2013” list.